"Necessity is the mother of invention" describes how the incorporation of a 4-foot wooden dowel became an integral part of yoga for Nicole Hamory Cavallaro and her students at the Huntsman Cancer Institute. Many cancer survivors were starting a yoga practice with apprehension, fear and many physical limitations due to the nature of their illness and the invasive treatments. The yoga stick immediately gave the practitioners a sense of alignment, balance, strength and support. The SOLA Yoga Stikk practice creates a new dimension for yoga poses. It needs to be fully experienced to appreciate the depth of your practice when a yoga stick is added. Questions: Nicole Cavallaro at 801-599-5687 (c) or greentreeyoga@comcast.net. Click here for information on SOLA YOGA Stikk manual/DVD and SOLA Yoga Stikks. Learn how to teach SOLA Yoga Stikk with confidence and creativity. Learn directly from Nicole, who developed the SOLA Yoga Stikk program. or send an email of inquiry to greentreeyoga@comcast.net. About Nicole: “Necessity is the mother of invention” is one of my favorite principles, and it also happens to be how I came to experience yoga and create SOLA Yoga Stikk. After four years as an elite collegiate athlete (Division I rower), my body was riddled with injuries and chronic pain. Yoga was the primary healing tool that restored my body, balanced my mind and ignited my spirit. SOLA is an acronym that embodies what I feel yoga helps people achieve - self-awareness, observation, love and acceptance. I feel strongly that Yoga can be one of the most accessible and powerful transformative tools for people who are seeking to maximize their potential. My first yoga teacher training was at the Omega Institute in Rhinebeck, NY in 2003 with Baron Baptiste. After moving to Utah in 2004, I enrolled in a 500-hour Teacher Training with D'ana Baptiste at Centered City Yoga. Since then I've become passionate about bringing Yoga to populations that wouldn't normally have access to it -- people in jail, prison, juvenile detention centers, homeless shelters, and drug treatment facilities. 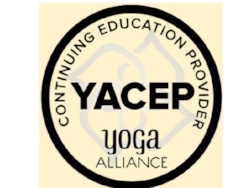 This interest prompted me to co-found GreenTREE Yoga of Utah - a 501c3 nonprofit organization dedicated to sharing yoga and yoga materials with all. In 2005, I started the yoga program at the Huntsman Cancer Institute. Most of my students had never experienced yoga before. They needed some additional support, which necessitated me bringing in 4-foot wooden dowels and incorporating them into every day Yoga poses. This was the birthplace for SOLA Yoga Stikk. We use the 4-foot wooden dowel as a massage tool, leveraging tool, strengthening tool, and balancing tool. It helps open up the chest in ways not possible with regular asana. Many breast cancer survivors have benefited greatly from the support of the Yoga Stikk.